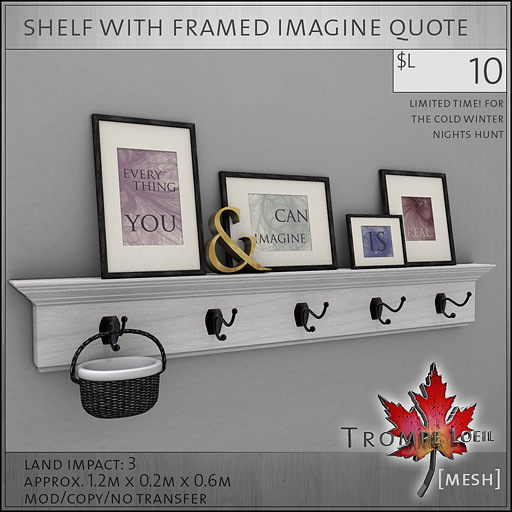 First, for the Cold Winter Nights Hunt, is our new Shelf with Framed Imagine Quote – a great way to fill up your wall space with low-prim design. Only $L10 when you find the snowflake, check the CWN board at the front of the store for the hint! 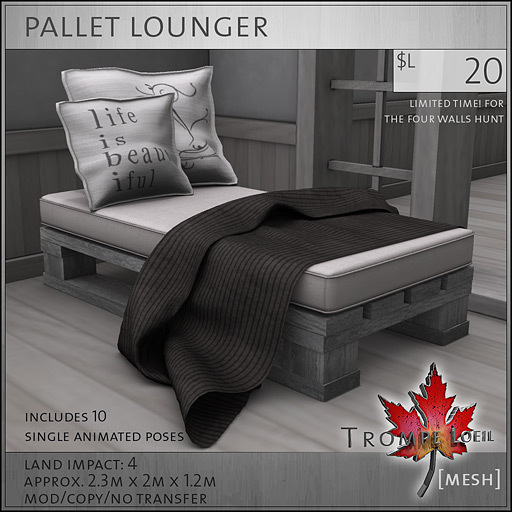 Come back on January 17 to find the Four Walls Hunt item and the newness inside for just $L20 – our Pallet Lounger! Featuring 10 animated poses and tintable pillows and mattress, and only 4 prims! Check out the demo at the front of the store, and get the hint at the Four Walls Hunt blog.